Compare budgeted versus actual occupancy. Easily process move-ins, move-outs, and transfers. Manage units including product types, unit styles, square footage and apartment descriptions. Manage your units and residents. The Vitals Census & Occupancy Tracking helps you reduce staff burdens, consistently enforce policies and drive profitability in a non-confrontational way. 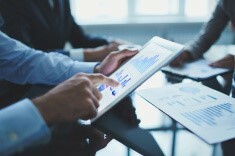 Like other Vitals Assisted Living Software solutions, it helps you optimize your business as you maximize your bottom line. 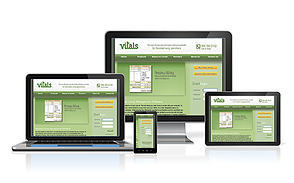 The Vitals Census & Occupancy Tracking dashboard has customizable KPIs, and is fast, easy and intuitive to use. It also features automatic workflows from other Vitals products to significantly reduce data entry errors. Leads easily convert to residents without having to re-enter data. Avoid liability issues as well — you always know what your true census is at any given moment with customized, reliable reports and capability that you just won’t find elsewhere. Leave paper hassles and messy spreadsheets behind with Vitals Census & Occupancy Tracking. Bonus: because Vitals works with industry players at the top of their game (98% occupancy is common among our clients), we’re able to pass on benchmarking methodologies and knowledge to help you drive occupancy, innovation and success in your communities. And don’t forget — Vitals software is never generic or repurposed. We provide customizable solutions created by senior living experts for senior living experts. Agility isn’t just a thought at Vitals. It’s an everyday practice. Like other Vitals Assisted Living Software solutions, Census & Occupancy Tracking helps you optimize your business as you maximize your bottom line. Ask for a demo today and see what a difference Vitals can mean to your productivity and profitability. With over 20 properties in our portfolio, the Vital Sign dashboard allows us to view real time census and occupancy percentages at a glance.